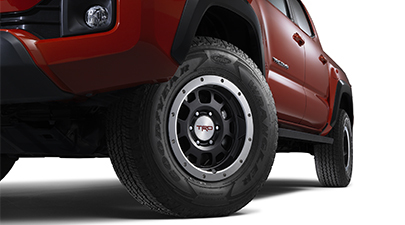 Constructed of low-pressure cast alloy, these TRD-branded 16-inch off-road beadlock style wheels offer owners a distinctive and rugged upgrade to their stock wheels. They provide a higher strength-to-weight ratio for optimal performance and feature a painted finish and machined outer lip with beadlock styling. 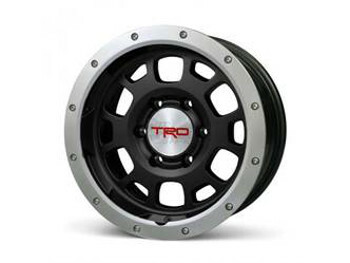 TRD-embossed snap-in center cap included.. This product requires: PTR18-35090.